In this study, pure TiO2, ZrO2, and hybrid ZrO2–TiO2 photocatalysts were synthesized through solgel process and calcined at three different temperatures. The synthesized photocatalysts were characterized using powder X-ray diffraction (PXRD), field-emission scanning electron microscopy (FESEM), Brunauer–Emmet–Teller (BET), ultraviolet–visible (UV–Vis) spectrometer, and photoluminescence (PL) spectrometer. The PXRD patterns show that the rutile phase of TiO2 was suppressed through co-doping with ZrO2 and produced small crystallite size. The hybrid photocatalysts with small crystallite size recorded the highest surface area of 114.7 m2/g compared to pure TiO2 and ZrO2 photocatalysts as confirmed by BET analysis. Irregular size and shape was observed in the hybrid photocatalysts compared to spherical shape and size in TiO2 and flaky shape in ZrO2 as shown by the FESEM images. The optical properties of the photocatalysts investigated using UV–Vis spectroscopy showed a decrease in band gap energy of pure TiO2 through linear extrapolation from the Tauc’s plot despite the slightly higher band gap energy of the hybrid photocatalysts. 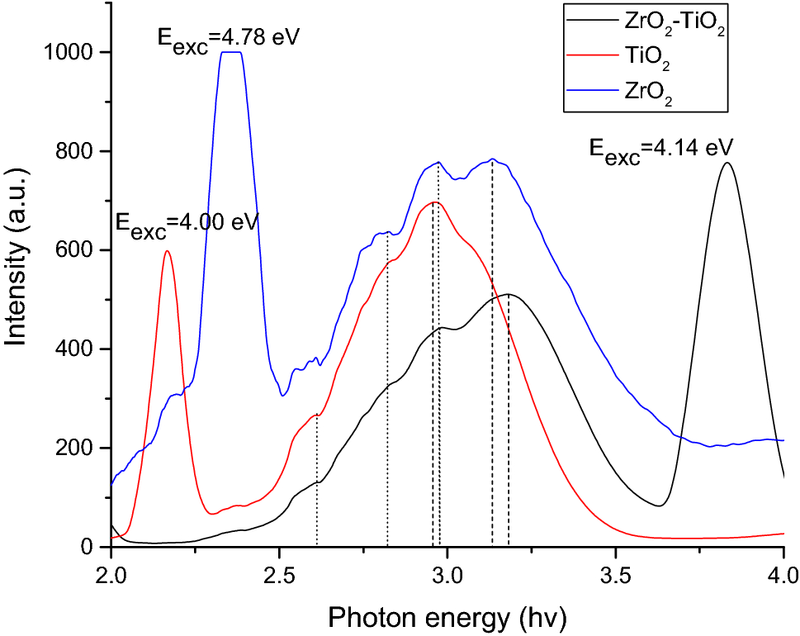 However, PL analysis showed that doping of ZrO2 into TiO2 increased the separation efficiency of the electron–hole pairs and enhanced the photocatalytic activity. The phenol degradation of the hybrid ZrO2–TiO2 photocatalysts was higher compared to those of the pure TiO2 and ZrO2. Traditional photocatalyst such as titanium dioxide or titania (TiO2)  with metastable state structure of anatase has been broadly used for the photodegradation of organic pollutants in water and air owing to its low cost , environmental friendliness , excellent oxidative properties, long-term stability without secondary pollution [4, 5], quick oxidation, high photocatalytic activity, chemical stability, and titania nontoxicity . Band gap energy around 3.2 eV for anatase TiO2 makes this photocatalyst can only be activated under UV light irradiation despite attempts made to study photocatalytic activity of TiO2 under irradiation of visible light. The anatase phase in TiO2 was reported to transfer to the rutile phase and reduced the band gap to around 3.0 eV at calcination temperature above 650 °C. This offers many advantages such as absorbing small quantity of the solar spectrum, from transparent to incoming light . Nevertheless, the intrinsic limitation of TiO2 in terms of the recombination of the large amount of the photoactivated electrons and holes is still a main challenge to be addressed to further improve the quantum yield of the photocatalytic activity . Among the advanced oxidation processes (AOP), heterogeneous photocatalysis is eminently used due to its environmentally friendly recognition and high oxidation efficiency [8, 9, 10]. Until now, the photocatalytic performance of TiO2 is still widely investigated. The cytotoxicity assessment using UV/TiO2-based degradation system for anthraquinone Reactive Blue 19 (RB-19) showed less toxic nature of the transformed by-products of RB-19 . Previously, the same researcher studied the TiO2-assisted Reactive Black 5 (RB-5) degradation and disclosed that the toxicity of RB-5 reduced significantly after photocatalytic treatment . The TiO2/UV-assisted Rhodamine B degradation was reported to eliminate the toxicity of recalcitrant compounds and textile wastewater effluents  and later tested on Rhodamine 6G . 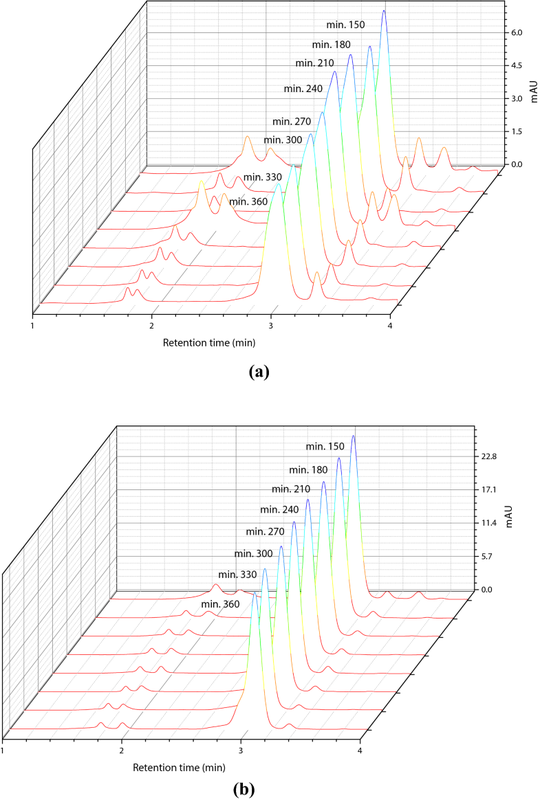 Urchin-like and yolk–shell TiO2 microspheres synthesized using solgel for degradation of methylthionine chloride displayed better photocatalytic activity than that of the commercial P25 . The optimization of old synthesis of TiO2 nanoparticles to degrade methyl orange and bromothymol blue resulted in the best performance of TiO2 nanoparticles of molar C12H28O4Ti/CO(NH2)2 in a ratio of 2:1 at 50 °C . Also, graphene–TiO2 (GT) nanocomposites for photocatalytic degradation of methylene blue (MB) showed that GT-8wt% exhibited the best photocatalytic activity toward the photocatalytic degradation of MB . Despite the improved photocatalytic activity reported, there are many other challenges such as controlling the particle size, homogeneity, and monodisperse ability of TiO2 which can affect the surface area of TiO2 and reduce the photocatalytic activity . TiO2 properties can be enhanced by adding another metal oxide . 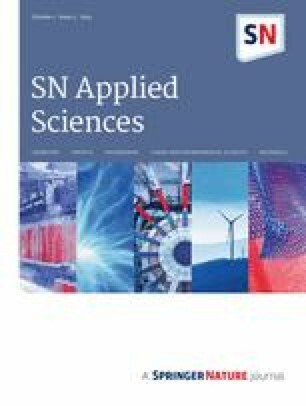 The second metal oxide introduction, such as ZrO2, SiO2, La2O3, and Fe2O3, can generate new crystallographic stages with rather diverse properties than the original oxides and has proven to be a successful method to enhance the thermal stabilization of TiO2 [4, 5, 13] and UV light photocatalytic activity [14, 15]. The particle size of TiO2 can be reduced by adding a small quantity of ZrO2 into TiO2 owing to the different nuclei and coordination geometry. This has in turn increased the surface area of the photocatalyst  and acid–base properties . However, the properties of photocatalyst particularly rely on the synthesis methods plus the way of processing. Thus, selecting the most proper technique for photocatalyst preparation is vital to achieve the desired chemical purity, phase, and morphology . To improve the photocatalytic properties of TiO2, a small quantity of ZrO2 can be used for co-doping purpose. Even though ZrO2 is considered as a poor photocatalyst due to its wide bad gap around 5 eV, doping of ZrO2 into TiO2 was reported to boost the photocatalytic practicality of advanced ZrO2–TiO2 mixed oxides . TiO2 doped by ZrO2 was studied by many researchers [4, 7, 13, 14, 16, 17, 18, 19, 20, 21, 22, 23, 24, 25, 26, 27] in the form of photocatalysts or thin film. These hybrid photocatalysts were prepared using various methods including solgel, polymer gel templating, homogeneous precipitation, and hydrothermal. Due to its higher photocatalytic activity compared to pure TiO2 , the hybrid of ZrO2 and TiO2 has been widely investigated in the photocatalysis field by many researchers. To the best of our knowledge, this paper is the first to study the nonporous or macroporous hybrid ZrO2–TiO2 photocatalysts for phenol degradation. Thus, this study attempts to produce hybrid ZrO2–TiO2 photocatalysts with enhanced photocatalytic activity. The influence of modified solgel method through sol evaporation at superheated temperature on the photocatalysts properties was analyzed using powder X-ray diffraction (PXRD), field-emission scanning electron microscopy (FESEM), Brunauer–Emmet–Teller (BET), ultraviolet–visible (UV–Vis) spectrometer, and photoluminescence (PL) spectrometer. The performance of the hybrid photocatalysts to enhance the photocatalytic activity was determined through phenol degradation and analyzed using high-performance liquid chromatography (HPLC). Titanium(IV) isopropoxide (TTIP, 97%) and zirconium(IV) propoxide solution (TPZ, 70 wt% in 1-propanol) purchased from Sigma-Aldrich were used as the precursors for TiO2 and ZrO2. 2-Propanol anhydrous (99.5%), nitric acid (70%), and phenol (GR for analysis) were purchased from Sigma-Aldrich, RCl Labscan Limited, and Merck, respectively. All chemical reagents were used without further purification. Deionized (DI) water was used to prepare all photocatalysts as well as to dilute the phenol solution. TiO2 photocatalysts were synthesized using solgel method as described earlier . TiO2 was prepared by mixing 10 mL of TTIP with 90 mL of IPA. The mixture was then added dropwise into 900 mL of DI water that was maintained at pH 1.5 using nitric acid by means of portable pH meter (HQ11d, HACH), and the mixture was mechanically stirred using a magnetic stirrer. The reaction tub temperature was kept approximately at 2 °C during the mixing process using crushed ice. The mixture was stirred vigorously for 20 h at ambient temperature which later formed a colloidal suspension known as sol. The sol was later aged for 24 h before being evaporated using a hot plate at a superheated temperature of 200 °C until the sol transformed into gel. The gel layer continued to evaporate to form ZrO2–TiO2 powder (photocatalysts). The photocatalysts obtained were dried at 105 °C for 4 h followed by calcination at 500, 600, and 700 °C in a furnace (Nabertherm GmbH) with air flowing continuously for 3 h. Calcination at different temperatures was carried out to observe the stability of each photocatalyst especially on the effect of temperature on the transformation of TiO2 anatase phase into rutile phase as studied earlier . The dried photocatalysts were then ground into fine powder prior to testing. The hybrid ZrO2–TiO2 (1:1) photocatalysts were also prepared following the same experimental condition. PXRD (D/max rB 12 kW, Rigaku @ D5000, Siemens) equipped with nickel-filtered copper Kα radiation (λ = 1.54056 Å) operated at 30 mA and 40 kV was used to confirm the crystal structure of the photocatalysts. The measurement was executed by monitoring the diffraction angle 2θ in the range of 5°–60° with a step increment of 0.05°. The photocatalysts powder was fitted into 20 × 20 × 0.5 mm sample holder for testing purpose. Based on XRD data, the average crystallite sizes of the photocatalysts were estimated from the line broadening of (101) peak. The crystallite size, Bcrystallite, was calculated using the Debye–Scherrer’s equation  as shown by Eq. (1). where K is the shape factor (0.94 for spherical crystallites with cubic symmetry), Bhkl is the full width at half maximum (fwhm) of the peak in radian corrected for instrumental broadening, λ is the radiation wavelength, and θ is the Bragg angle (half of the incident angle of 2θ in radian). The micrographs of the photocatalysts were obtained using Zeiss FESEM Crossbeam 340 instrument to investigate the surface morphology of the photocatalysts. The powder samples were spread evenly over carbon tape used as substrate and coated with a thin layer of gold prior to analysis. The surface area, pore volume, and pore size of the photocatalysts were determined using Thermo Scientific surface analyzer. The BET method was used to obtain the surface area and pore volume. Meanwhile, Barrett–Joyner–Halenda (BJH) model was used to determine the pore size of the photocatalysts derived from the adsorption branch of the isotherm. The measurement was performed by the N2 adsorption isotherm at 77 K. Prior to analysis, the samples were degassed at 200 °C for 2 h.
The optical band gap energy Eg was obtained from the (F(R) · hv)n versus hv plot which is also known as Tauc’s plot. The values of n = 2 for direct allowed transition and n = 1/2 for an indirect allowed transition were employed in this study for comparison purpose. The fluorescence emission spectrum of the photocatalysts was obtained using Perkin Elmer LS55 fluorescence spectrometer. The phenol concentration and the intermediate compounds produced during its degradation were quantitatively analyzed using HPLC system (Agilent Technologies 1220 Infinity LC). Photocatalytic activities of the prepared photocatalysts were measured via the degradation of phenol in aqueous solution under UV light irradiation at atmospheric pressure and room temperature. About 0.35 g of photocatalysts was initially dispersed into 350 mL of phenol solution at a starting concentration of 10 ppm and later at 40 ppm at around pH 6 under magnetic stirring to ensure uniform conditions of the reacting mixture. 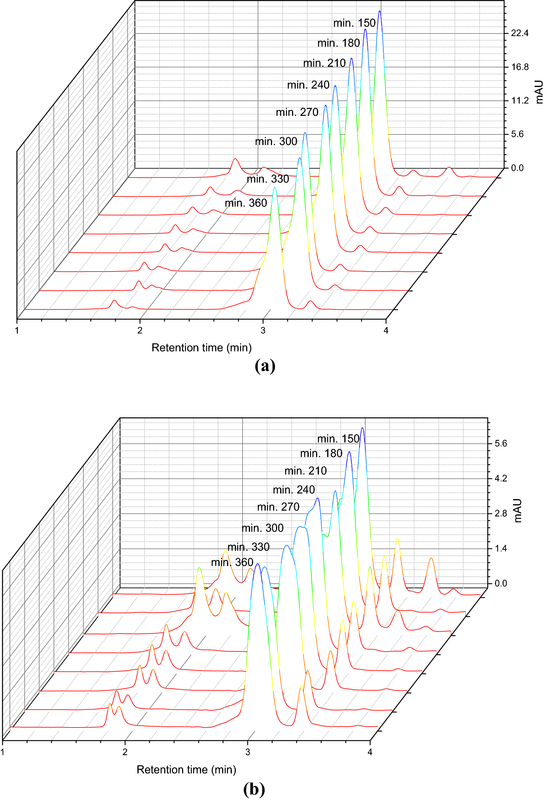 Prior to photocatalytic testing, the prepared suspension was stirred at 298 K in the dark for 120 min to establish the adsorption–desorption equilibrium of phenol on the photocatalyst. The photooxidation of phenol was carried out through a cylindrical quartz photoreactor, and the illumination distance was fixed at 1 cm from the reacting mixture. The suspension was then irradiated using an 8 W black light blue UV-A lamp with a maximum light intensity output at 365 nm (FL8BLB, Sankyo Denki Co., Ltd., Japan). The UV light intensity was measured using a UVX radiometer (UVP Inc., Upland, CA) with UV-A sensor (UVX-36, UVP Inc., Upland, CA). Samples were collected from the suspension in consistent intervals (3 mL of aliquot was withdrawn from the suspensions every 30 min within 4 h of irradiation) to evaluate the apparent reaction rate constant, and the photocatalyst was filtered through 0.2 µm PTFE membrane before analyzing it using HPLC–UV at 254 nm. The phenol degradation in aqueous solution was determined using Eq. (5). where C0 is the initial concentration at time t = 0, and Ct is the concentration at time interval. The XRD patterns of pure TiO2, ZrO2, and hybrid ZrO2–TiO2 photocatalysts calcined at 500 °C are shown in Fig. 1a. The sharp and narrow peaks confirmed that the photocatalysts are of high quality with good crystallinity and fine grain size. Pure TiO2 exhibited mixed diffraction peaks with anatase phase at 2θ = 25.3° (101), 37.8° (004), 48.0° (200), 53.8° (105), and 55.0° (211) as indexed in ICDD DB card no. 01-089-4203 together with 27.4° (110), 36.0° (101), 41.2° (111), 55.0° (211), and 56.6° (220) which are the characteristics peaks with rutile phase as indexed in ICDD DB card no. 01-078-4189 through qualitative measurement. An intense anatase peak was observed at peak (101) with 80 wt% of reference intensity ratio (RIR) value for anatase phase. Diffraction peaks of pure ZrO2 which appeared at 2θ = 24.1° (011), 28.1° (− 111), 31.4° (111), 34.2° (002), and 50.1° (220) indicate the characteristic peaks with baddeleyite phase as indexed in ICDD DB card no. 01-083-0940 together with the characteristics peaks with tetragonal phase at 2θ = 30.2° (101), 35.1° (110), 50.1° (112), 54.0° (200), and 60.0° (211) as indexed in ICDD DB card no. 01-080-0965. 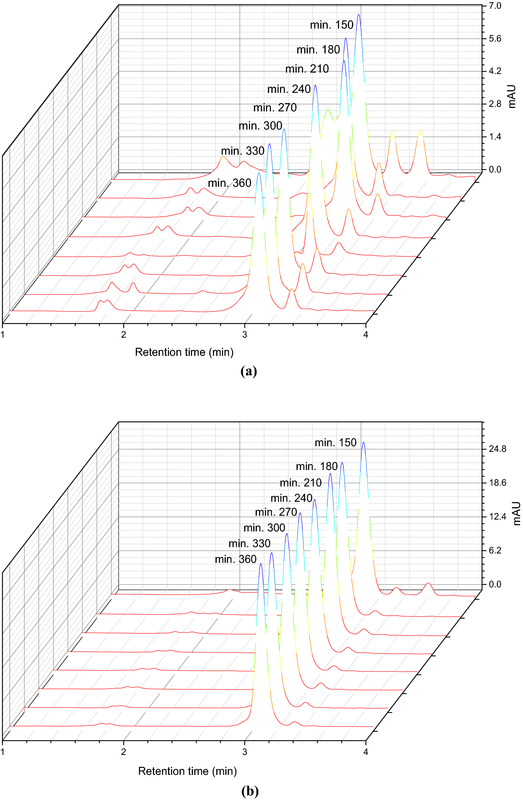 The hybrid ZrO2–TiO2 presented mixed characteristic diffraction peaks of anatase TiO2 at (101), (200), (105), (211), and (204) as indexed in ICDD DB card no. 01-071-1169, and as well as, pure tetragonal phase of ZrO2 at (101), (110), (200), (112), and (211) as indexed in ICDD DB card no. 01-080-0965 indicates that ZrO2 affected the crystallinity of TiO2 which contradict the findings reported elsewhere . The baddeleyite phase was suppressed, leaving only the desired tetragonal phase with all matching peaks. 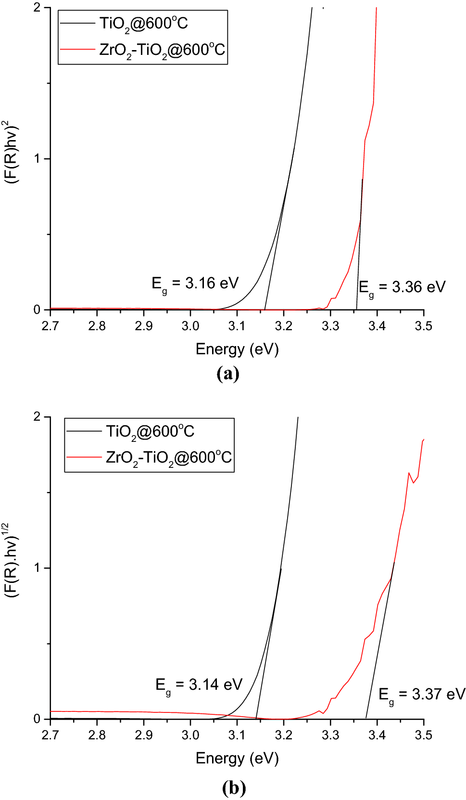 However, the TiO2 patterns were observed to be more intense because TiO2 diffracts more efficiently compared to ZrO2 with at least four peaks matching the principal diffraction peaks of pure TiO2 with a small amount of mismatch in peak position. These results were supported by the RIR values that showed anatase phase contents of 45.2 wt%. For photocatalysts calcined at 600 °C as shown in Fig. 1b, pure TiO2 showed mixed anatase–rutile phase with anatase dominated. However, slightly significant rutile peaks emerged when the calcination temperature was increased. The hybrid ZrO2–TiO2 presented a mixed zirconia–anatase phase with diffraction peaks of ZrO2 and TiO2 indexed in ICCD DB card no. 01-079-1796 and 01-075-2553, respectively, with dominant orthorhombic zirconia phase surpassed over anatase phase. No rutile phase was observed. This shows that the addition of ZrO2 stabilized the anatase titania phase . Pure ZrO2 showed mixed diffraction peaks of tetragonal–monoclinic phase with ICCD DB card no. 01-079-1765 and 01-078-0047, respectively. The tetragonal phase showed an intense peak at peak (101) compared to the monoclinic phase although the RIR values showed that 95 wt% of the content was dominated by monoclinic phase. 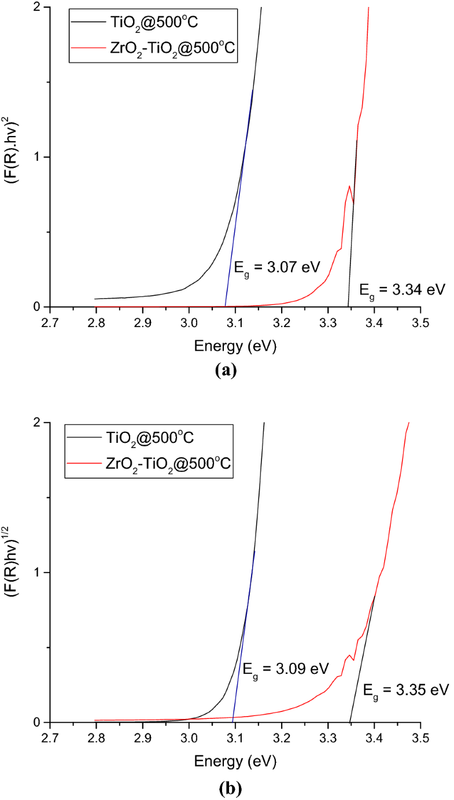 The hybrid ZrO2–TiO2 displayed a mixed orthorhombic–anatase phase with ICCD DB card no. 01-079-1796 and 01-075-2553, respectively. An intense orthorhombic peak was observed at peak 2θ = (111). When calcined at 700 °C, as shown in Fig. 1c, TiO2 exhibited a mixed rutile–anatase phase with intensity of rutile peaks observed throughout the XRD pattern indicating the transfer of anatase phase to rutile phase at temperature above 650 °C . A highly intense peak (110) of rutile phase was observed compared to peak (101) of anatase phase. The results obtained are in line with the RIR values which recorded that 59.8 wt% of the content is in rutile phase. Pure ZrO2 exhibited a mixed baddeleyite–tazheranite phase as indexed in ICCD DB card no. 01-075-9454 and 01-072-7115, respectively, with intensity in the baddeleyite peak observed at peak (− 111). The baddeleyite phase recorded 81.2 wt% of the RIR value. The hybrid ZrO2–TiO2 showed a zirconia-rich composition with intense ZrO2 diffraction peaks in zirconia (nanocrystalline) at peak (101) indexed in ICCD DB card no. 01-070-6627 and strong peak (− 111) of monoclinic phase indexed in ICCD DB card no. 01-078-0047, together with TiO2 in anatase phase indexed in ICCD DB card no. 01-071-1168. The RIR values recorded that 40.4 wt% of the contents is in the zirconia (nanocrystalline) phase. As observed earlier, the photocatalysts calcined at 500 °C showed the best characteristics and was further investigated due to the presence of only a small rutile phase in pure TiO2 photocatalysts, no rutile phase in the hybrid photocatalysts, and the presence of a mixed monoclinic–tetragonal phase in pure ZrO2 photocatalysts. From the results, the crystallite size of TiO2 was 20.07 nm. ZrO2 doping successfully reduced the crystallite size of hybrid ZrO2–TiO2 to 14.29 nm which was much smaller compared to 72 nm as reported elsewhere  at the same photocatalysts molarity. This indicates that ZrO2 doping had an impact on TiO2 by suppressing the anatase crystallite growth which in turn reduced the crystallite size of TiO2 and contributed to a larger surface area. Table 1 summarizes crystallite size for all photocatalysts. Figure 2 shows the FESEM images of the pure TiO2, ZrO2, and hybrid ZrO2–TiO2 photocatalysts calcined at 500 °C. It was observed that the shape of pure TiO2 photocatalysts was nearly spherical and cubical with a particle size of around 63 nm. The aggregation of TiO2 photocatalysts was due to strong interaction between crystallites. Pure ZrO2 exhibited irregular flaky shapes. The particle size recorded for pure ZrO2 was in the range of 33–41 nm. The hybrid ZrO2–TiO2 photocatalysts with 50% of ZrO2 revealed a smaller and uniform spherical shape with a particle size in the range of 24–53 nm compared to that of TiO2. This shows that co-doping ZrO2 into TiO2 could control both the particle size of TiO2 and the shape of the particles  to produce uniformly dispersed aggregates. Figure 3 shows the N2 adsorption–desorption hysteresis loops of the nanoporous photocatalysts observed for a wide range of relative pressure P/P0. The isotherms obtained for all photocatalysts demonstrated Type II isotherm with an H4 hysteresis loop which indicates nonporous or macroporous nature of the materials. However, the extensive photocatalytic application of the photocatalysts was attributed by the nanosized particles, high surface area, and optimum pore volume . The hybrid ZrO2–TiO2 photocatalysts demonstrated significant increase in surface area with 114.7 m2/g as a result of co-doping of ZrO2 into TiO2 compared to pure TiO2 and ZrO2 with the surface areas of 39.9 and 48.8 m2/g, respectively. Similar results were reported indicating the effective role of ZrO2 to suppress the growth of TiO2 crystals [22, 28]. The hybrid ZrO2–TiO2 photocatalysts also recorded the highest pore volume at 0.31 cm3/g, followed by ZrO2 at 0.22 cm3/g and TiO2 at 0.13 cm3/g. The pore size of the hybrid photocatalysts increased more than that of the pure TiO2, but less than that of the pure ZrO2. Table 2 summarizes the properties from BET analysis. Higher surface area and pore volumes were associated with the increase in surface active sites and channels. These properties allow various organic pollutants to diffuse rapidly during photocatalytic activity which in turn increases the photodegradation reaction rate [33, 34]. Figure 4 shows the spectral reflectance curves of pure TiO2 and hybrid ZrO2–TiO2 calcined at 500–700 °C. A smooth curve increment was observed when calcined at 500 and 600 °C. However, at 700 °C, irregular curve pattern was observed from the early stage of radiation despite the smooth curve throughout the UV region. This was probably contributed by the increase in crystallite size as shown in Table 1 or structural changes with increasing calcination temperature. Thus, only the optical band at 500 and 600 °C was further measured. The photocatalysts with the best optical band gap were used to evaluate the photocatalytic activity for phenol degradation. The Eg values of TiO2 and hybrid ZrO2–TiO2 obtained through direct extrapolation of the Kubelka–Munk function as shown in Fig. 5 for calcination at 500 °C were 3.07 and 3.34 eV for indirect allowed transition, respectively. For direct allowed transition, the Eg values were 3.09 and 3.35 eV, respectively. At 600 °C, the Eg values of TiO2 were 3.16 and 3.14 eV for indirect and direct allowed transition, respectively, as shown in Fig. 6. The presence of a small rutile phase was responsible in giving the Eg value of TiO2 of 3.0 eV. However, as the rutile phase was suppressed, the Eg of the hybrid photocatalyst increased to the widely reported Eg values of TiO2 around 3.2 eV [4, 5]. The Eg values for hybrid ZrO2–TiO2 were higher at 3.36 and 3.37 eV, respectively. The Eg values for TiO2 reported in this study for both transitions were much lower compared to the Eg values reported elsewhere  at 3.30 and 3.72 eV, respectively. Both transitions were suitable to be used for Eg estimation due to the small differences. 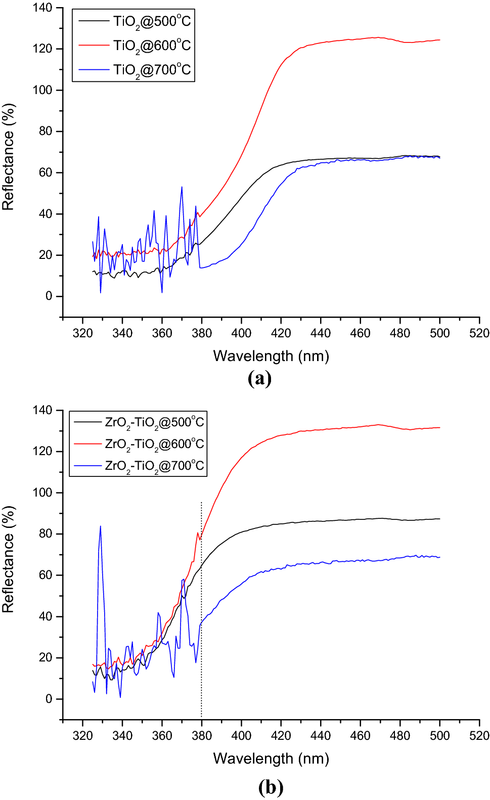 The small changes in the Eg values of the hybrid ZrO2–TiO2 compared to that of pure TiO2 for both transitions at different calcination temperatures suggest that the thermal stability of TiO2 improved through ZrO2 doping. Based on the Eg values, both photocatalysts calcined at 500 °C showed better results. Therefore, the present work was further tested for oxidative photodegradation of phenol. The doping of ZrO2 into TiO2 could increase the separation efficiency of the electron–hole pairs and enhance the photocatalytic activity. The fluorescence intensity with higher value from the PL spectra indicates more recombination of electron–hole pairs which leads to lower photocatalytic activity . The PL spectra of TiO2, ZrO2, and hybrid ZrO2–TiO2 calcined at 500 °C with excitations at 4.00, 4.78, and 4.14 eV presented in Fig. 7 exhibited a broad emission in the spectral range from 2.3–3.5 eV, 2.5–3.7 eV, and 2.3–3.6 eV for all respective three photocatalysts. The presence of peaks/shoulders at 2.96/2.60 eV for TiO2, 2.97 and 3.13/2.83 eV for ZrO2, and 3.19/2.98 eV for TiO2–ZrO2 was recorded. The hybrid ZrO2–TiO2 photocatalysts showed the lowest fluorescence intensity value compared to the pure TiO2 and ZrO2 photocatalysts which indicates that the electron–hole pairs recombination had been successfully suppressed and increased the photocatalytic activity. Even though doping of ZrO2 into the TiO2 lattice resulted in a slightly higher band gap, the electron lifetime on the conduction band can be prolonged  due to the increase in interfacial charge transfer that participates in the degradation reactions. This has consequently improved the photocatalytic activity [4, 36]. The photocatalytic activity of pure TiO2, hybrid ZrO2–TiO2, and pure ZrO2 photocatalysts was tested for both adsorption (dark experiment) and oxidative photodegradation (experiment under illumination) of phenol at 10 and 40 ppm. The experiment with hybrid ZrO2–TiO2 in the dark showed that approximately 26% of the phenol at 10 ppm on the photocatalysts surface was adsorbed in 2 h. Interestingly, ZrO2 showed somewhat active activity in the early of adsorption stage with 20% phenol adsorbed and followed by TiO2 at 11% as shown in Fig. 8. The small crystallite size and high surface area of the photocatalysts were believed to contribute to the significant adsorption of phenol especially at 10 ppm. On the other hand, both hybrid ZrO2–TiO2 and ZrO2 photocatalysts showed a much lower phenol adsorption of around 15% each at 40 ppm and only 11% of phenol adsorbed by TiO2. The photocatalytic experiment was evaluated after the adsorption–desorption equilibrium period. However, the phenol degradation was not completely elucidated because of the increase in peaks area from HPLC analysis due to the formation and transformation of intermediates . The process of phenol degradation was visualized from HPLC chromatogram which acted as an indicator for the presence of chemicals with various intermediate compounds as shown in Figs. 9, 10 and 11 with the maximum peak height for phenol at a retention time of about 3.03 min. The retention times for the intermediate compounds were shorter compared to that of the parent phenol compound. During the adsorption–desorption stage of 120 min, at least four intermediate compounds were detected at the retention times of 1.9, 2.1, 3.3, and 3.5 min. Only two intermediate compounds were detected at the end stage of phenol degradation of 360 min at the retention times of 1.8 and 3.3 min. The intermediate compounds might be due to the formation of compounds such as hydroquinone, p-benzoquinone, and catechol [22, 38] which can be confirmed through GC analysis. The peak intensity corresponding to phenol also showed decreasing trends within the 4 h degradation under UV light irradiation with a profound effect observed in the hybrid ZrO2–TiO2 photocatalysts. The degradation ability of the hybrid photocatalysts improved with ZrO2 co-doping into the TiO2 lattice. To guarantee the establishment of the adsorption–desorption equilibrium  despite normal adsorption–desorption stage of 30 min [7, 31] to 60 min , 120 min of adsorption–desorption stage was chosen. Careful observation on phenol degradation by pure ZrO2 showed that ZrO2 can also act as a photocatalysts following the reduction of the intermediate compounds. The same result was observed elsewhere for phenol degradation at 25 ppm . This was probably due to the lower Eg values of the prepared ZrO2 at around 3.15–3.17 eV. ZrO2 was reported to have the Eg values between 3.25 and 5.1 eV, depending on the sample preparation technique . The observed photodegradation activity for phenol follows this order: hybrid ZrO2–TiO2 photocatalysts > pure TiO2 photocatalysts > pure ZrO2 photocatalysts. The increased photocatalytic activity was probably due to the presence of more hydroxyl groups on the photocatalysts surface that inhibited the recombination of electron–hole pairs by trapping holes and generated powerful oxidants such as OH· radicals [7, 22]. Similarly, the separation of electron and hole between TiO2 and ZrO2 in the hybrid photocatalysts may also take place due to the energy level in both valence band (VB) and conduction band (CB) of the pure TiO2 that corresponds well within the band gap of pure ZrO2. During the excitation of electrons from the hybrid photocatalysts, most electrons from the CB of ZrO2 easily transfer to the CB of TiO2 from thermodynamic considerations, which inhibits the electron–hole pairs recombination . The results did not represent total degradation, but serve as an indicator of potentially effective photocatalysts. In this work, hybrid ZrO2–TiO2 photocatalysts synthesized using solgel method showed higher phenol degradation than those of the pure TiO2 and ZrO2 after being exposed to UV light. This is due to the small crystallite size and higher surface area exhibited by the hybrid ZrO2–TiO2 photocatalysts. The shape and size of the hybrid ZrO2–TiO2 photocatalysts also impacted the photocatalytic activity. 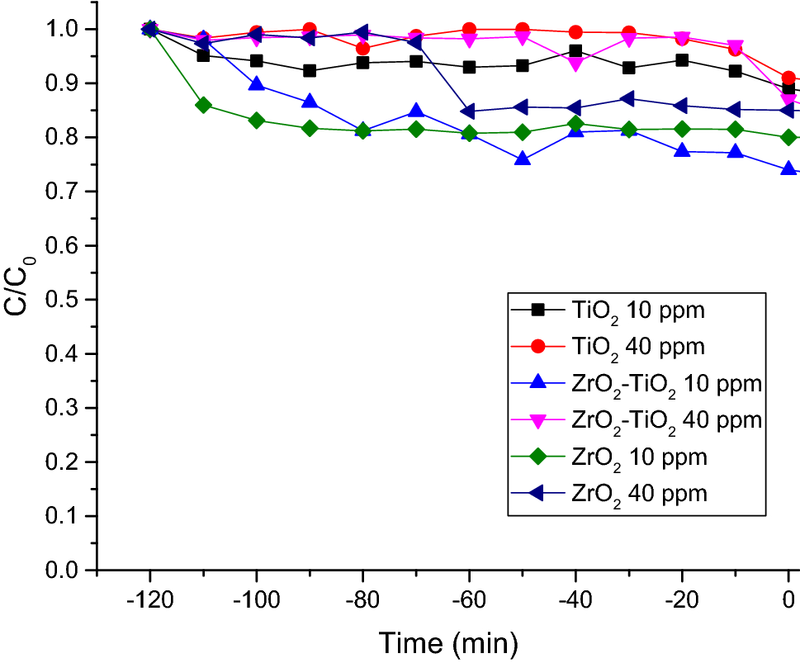 The reduction of intermediate compounds at the end of the degradation process indicates the hybrid ZrO2–TiO2 photocatalysts potential to remove phenol in wastewater. In general, co-doping of ZrO2 into the TiO2 lattice could address the low photocatalytic activity of a single metal oxide photocatalyst such as TiO2 and suppressed the electron–hole pairs recombination to improve the photocatalysts performance. This work was financially supported by the Universiti Teknologi Malaysia (Project No. R.J090301.7809.4J195) under the Research University Grant and Ministry of Higher Education Malaysia.